Posts tagged with "iOS Reviews"
We left last year's iOS 11 update with a palpable tension between two platforms. On one hand, following a year of minor changes to the iPad and a hardware refresh that came in later than some expected, Apple once again devoted plenty of attention to reimagining the tablet's role in the world of modern computing. iPad updates in iOS 11, despite having their fair share of critics, largely did not disappoint. On the other hand, the iPhone – by and large still Apple's crown jewel – had to play second fiddle to a platform that was more in need of a strong, coherent message. And so despite blessing the iPhone with the same features of its larger multitouch cousin (at least most of them), Apple seemed content ceding the smartphone's spotlight to the iPad. There was a healthy array of new functionalities for both, but iOS 11's "Monumental leap for iPad" tagline pretty much told the whole story. 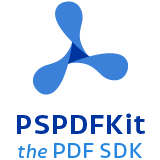 PSPDFKit, the SDK developers rely on to view and edit PDFs inside their apps. There were debacles in Apple's PR and marketing approach as well: performance problems with battery and power management were handled poorly during a key time of the year, culminating with a year-long discounted battery replacement program and a somewhat rushed battery-related addition to iOS' Settings. Then, of course, there was the much derided iPhone X ad clearly showing one of the many reported iOS bugs on TV, which had to be fixed with an updated commercial before the actual software was fixed. No matter how you slice it, it's been a rough few months for Apple in the realm of public perception of its software. At the same time, toward the beginning of 2018, technology observers witnessed the rise of Time Well Spent – an organization and, perhaps more broadly, a public movement demanding that tech companies prioritize enabling healthier relationships with mobile devices. The principles underlying Time Well Spent, from battling smartphone addiction and notification overload to including superior parental controls in mobile OSes, may have originated as a natural consequence of breakneck technological progress; as some argue, they may also be a byproduct of global socioeconomic and political events. Time Well Spent's ideas found fertile soil in Silicon Valley: earlier this year, Facebook made key changes to its news feed to improve how users spend time on the social network; Apple made a rare commitment to better parental features in a future version of iOS; Google went all out and turned digital well-being into a suite of system features for Android. It's important to understand the context in which iOS 12 is launching today, for events of the past year may have directly shaped Apple's vision for this update. With iOS 12, Apple wants to rectify iOS' performance woes, proving to their customers that iOS updates should never induce digital regret. Perhaps more notably though, iOS 12 doesn't have a single consumer feature that encapsulates this release – like Messages might have been for iOS 10 or the iPad for iOS 11. Instead, iOS 12 is a constellation of enhancements revolving around the overarching theme of time. Apple in 2018 needs more time for whatever the next big step of iOS may be; they want iOS users to understand how much time they're spending on their devices; and they want to help users spend less time managing certain system features. Also, funnily enough, saving time is at the core (and in the very name) of iOS 12's most exciting new feature: Shortcuts. iOS 12 isn't Apple's Snow Leopard release: its system changes and updated apps wouldn't justify a "No New Features" slide. However, for the first time in years, it feels as if the company is happy to let its foot off the gas a little and listen to users more. For the second time in three years, the iPad isn’t following in the iPhone’s footsteps. With iOS 11, the iPad is going in its own direction – this time, with no cliffhanger. Shedding the vestiges of intrinsic iPhone OS notions – namely, single-tasking through one app at a time – the combination of more capable hardware with features such as Split View and Picture in Picture inaugurated a new beginning for the iPad’s post-PC endeavors. 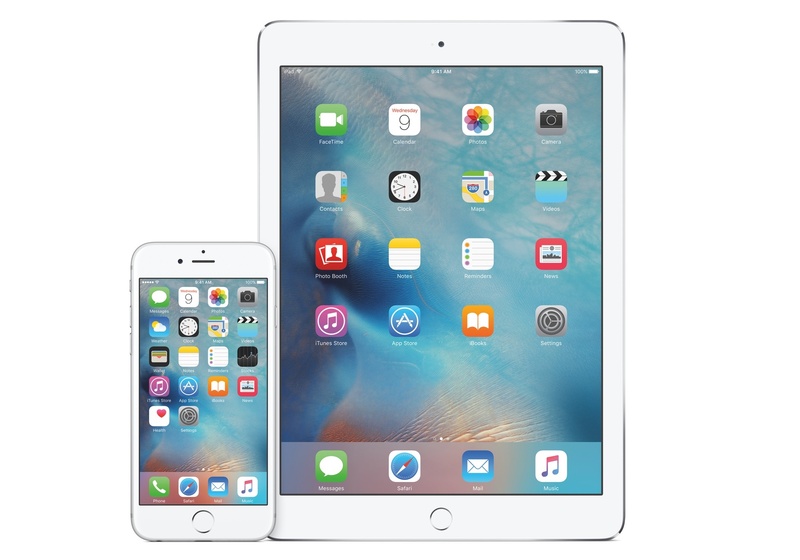 iOS 9 reset the iPad’s expectations and potential, providing millions of disenchanted users with the modern, powerful PC replacement they’d been envisioning since 2010. But in many ways, iOS 9 wasn’t enough. The productivity enhancements that set the iPad on a new course felt, in hindsight, like first attempts at reviving its software and app ecosystem. Key aspects of iOS 9 were evidently unfinished, possibly hinting at future optimizations and fixes. That future didn’t arrive with last year’s iOS 10, which only added to the sense of wondering when the iPad’s next shoe would drop. Amidst consistently declining unit sales and following another bland (at least iPad-wise) mid-cycle update to iOS, the legacy of iOS 9 gradually shifted from a first step packed with promise to a bittersweet one-off effort to infuse new life into the iPad. 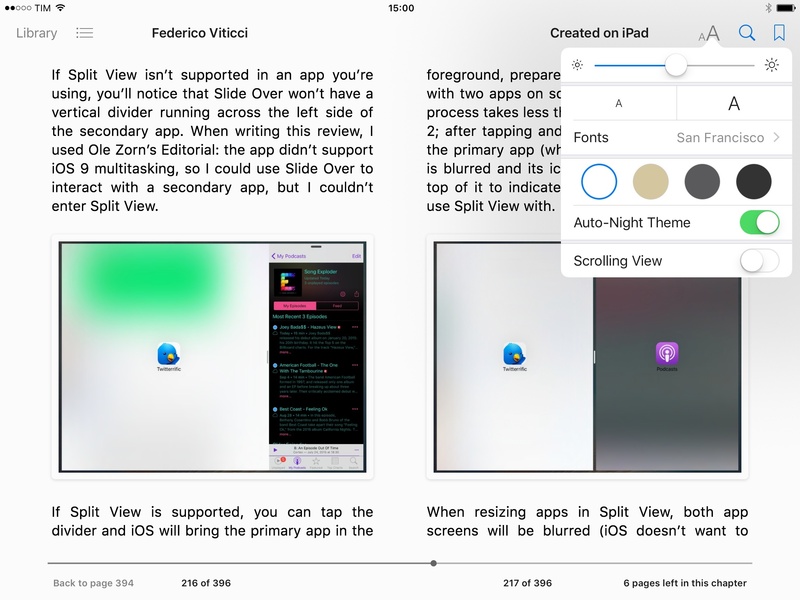 PDF Viewer is the easiest way to read, edit, and sign PDFs on the go. With iOS 11, Apple’s iPad vision feels resolute again. 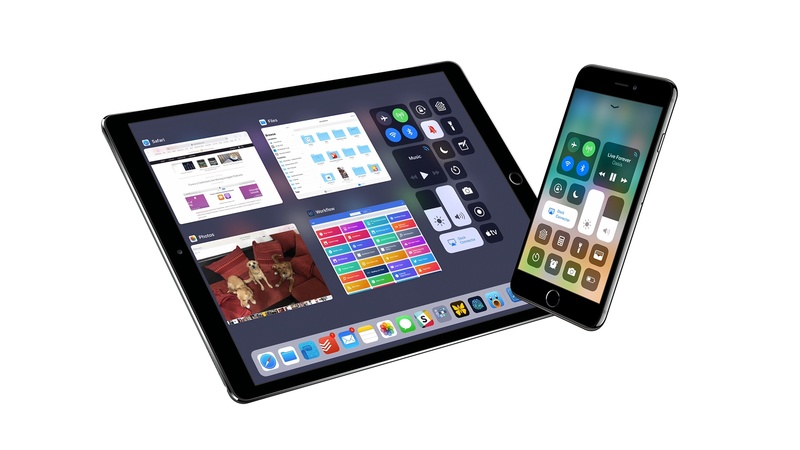 Multitasking is blending with multitouch, giving drag and drop a new purpose; the Mac’s best features – from file management to the dock – have been rethought, simplified, and extended specifically for iOS. The iPad’s mission is to reimagine the very concept of a portable computer by empowering a new generation of users to do their best work wherever they are, whenever they want. If anything, iOS 9 was merely the iPad’s overture. The iPad, however, is only one part of the broader iOS story, which has been – and most likely always will be – characterized by the iPhone’s evolution and impact on our society. 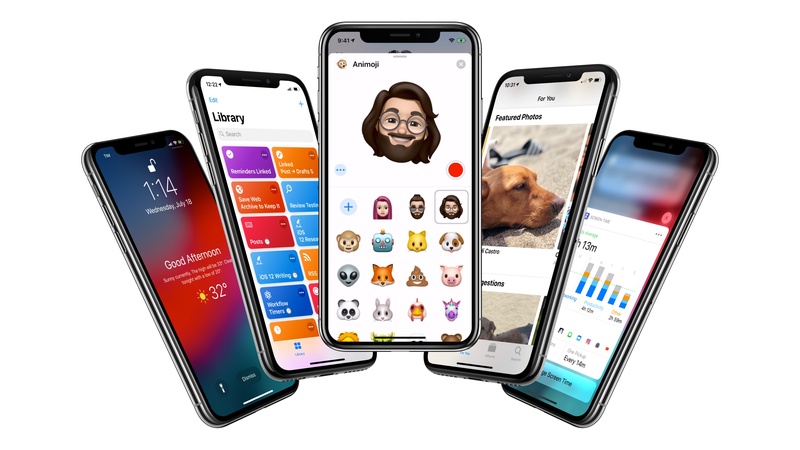 From that standpoint, not only did iOS 10 deliver with upgrades to core iPhone apps such as Photos, Messages, Music, and Maps – it showed how Apple was judiciously planting the seeds for technologies and human interface guidelines that are blossoming in iOS 11. The two-pronged approach of iOS 10 – updates to consumer apps along with the first signs of native iOS machine learning – resulted in an iPhone update that felt impactful without the need for a ground-up redesign. For the most part, iOS 11 follows the playbook of last year. The transition to a new design language is still in flux, with a progressive remodeling of iOS 7’s divisive aesthetic and the adoption of friendly UI elements that can guide users across the system. iOS 11’s most notable redesigns, including the App Store and Control Center, lay new foundations and fix what didn’t work before. Refinements – in some cases, reversals of ideas that didn’t pan out – are one of iOS 11’s overarching themes. iOS 11 presents a cohesive narrative for both the iPad and iPhone. iOS 11 also reaps the rewards of investments Apple made in iOS 10 and 2016’s iPhone line. From the upcoming wave of augmented reality apps to deeper computational photography and new responsibilities for iCloud, iOS 11 epitomizes – with remarkable accomplishments and a few missteps along the way – the focus and priorities of the modern Apple. Where does the modern computer go next? With iOS entering the last stage of its single-digit version history, it's time to wonder if Apple wants to plant new seeds or sit back, maintain, and reap the fruits of the work done so far. Last year, I welcomed iOS 8 as a necessary evolution to enable basic communication between apps under the user's control. With extensions based on a more powerful share sheet, document providers, widgets, and custom keyboards, I noted that iOS had begun to open up; slowing down wasn't an option anymore. In hindsight, many of the announcements from last year's WWDC were unambiguous indicators of a different Apple, aware of its position of power in the tech industry and willing to explore new horizons for its mobile operating system and what made it possible. Following the troubled launch of iOS 6 and subsequent rethinking of iOS 7, Apple found itself caught in the tension between a (larger) user base who appreciated iOS for its simplicity and another portion of users who had elected iPhones and iPads as their primary computers. Alongside this peculiar combination, the tech industry as a whole had seen the smartphone graduate from part of the digital hub to being the hub itself, with implications for the connected home, personal health monitoring, videogames, and other ecosystems built on top of the smartphone. 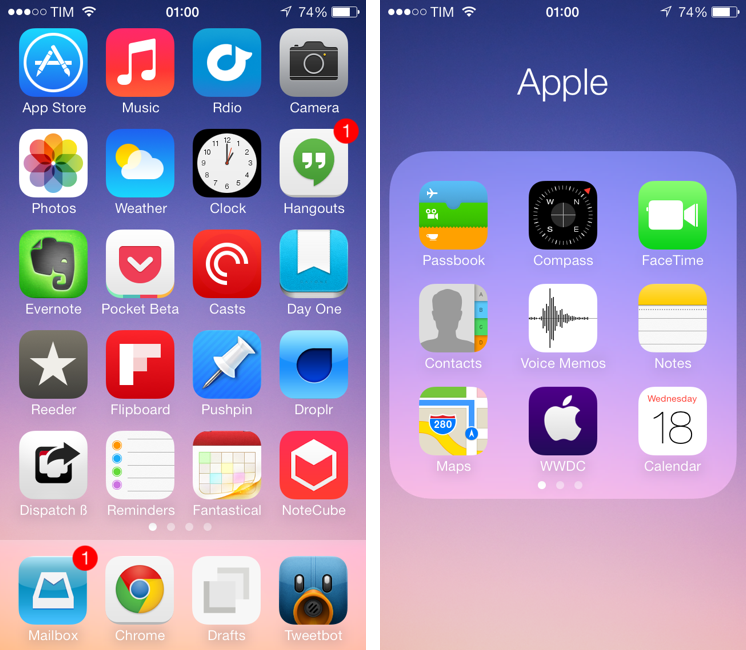 WWDC 2014 marked the beginning of a massive undertaking to expand iOS beyond app icons. With Extensibility, HealthKit, HomeKit, Metal, and Swift, Tim Cook's Apple drew a line in the sand in June 2014, introducing a new foundation where no preconception was sacred anymore. iOS' newfound youth, however, came with its fair share of growing pains. While power users could – at last – employ apps as extensions available anywhere, the system was criticized for its unreliability, poor performance, sparse adoption, and general lack of discoverability for most users. The Health app – one of the future pillars of the company's Watch initiative – went through a chaotic launch that caused apps to be pulled from the App Store and user data to be lost. The tabula rasa of iOS 7 and the hundreds of developer APIs in iOS 8 had resulted in an unprecedented number of bugs and glitches, leading many to call out Apple's diminished attention to software quality. And that's not to mention the fact that new features often made for hefty upgrades, which millions of customers couldn't perform due to storage size issues. But change marches on, and iOS 8 was no exception. In spite of its problematic debut, iOS 8 managed to reinvent how I could work from my iPhone and iPad, allowing me – and many others – to eschew the physical limitations of desktop computers and embrace mobile, portable workflows that weren't possible before. The past 12 months have seen Apple judiciously fix, optimize, and improve several of iOS 8's initial missteps. Eight years1 into iOS, Apple is facing a tall task with the ninth version of its mobile OS. 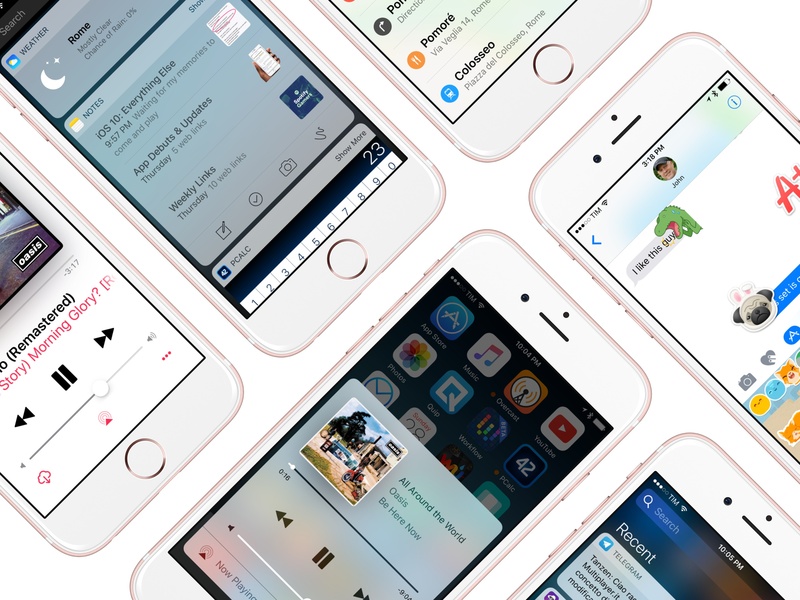 After the changes of iOS 7 and iOS 8 and a year before iOS 10, what role does iOS 9 play? In many cultures, the number "10" evokes a sense of growth and accomplishment, a complete circle that starts anew, both similar and different from what came before. In Apple's case, the company has a sweet spot for the 10 numerology: Mac OS was reborn under the X banner, and it gained a second life once another 10 was in sight. What happens before a dramatic change is particularly interesting to observe. With the major milestone of iOS 10 on track for next year, what does iOS 9 say about Apple's relationship with its mobile OS today? An eBook version of this review is available to Club MacStories members for free as part of their subscription. A Club MacStories membership costs $5/month or $50/year and it contains some great additional perks. When I reviewed iOS 7 last year, I took a different approach and tried to consider Apple's redesigned OS from the perspective of someone who uses iPhones and iPads for work and personal tasks on a daily basis. I noted that a new structure enabled developers to make more powerful apps, and I concluded hoping that Apple would “consider revamping interoperability and communication between apps in the future”. With today's release of iOS 8, Apple isn't merely improving upon iOS 7 with minor app updates and feature additions. They're also not backtracking on the design language launched last year, which has been refined and optimized with subtle tweaks, but not fundamentally changed since its debut in June 2013. Apple is reinventing iOS. The way apps communicate with each other and exchange functionality through extensions. 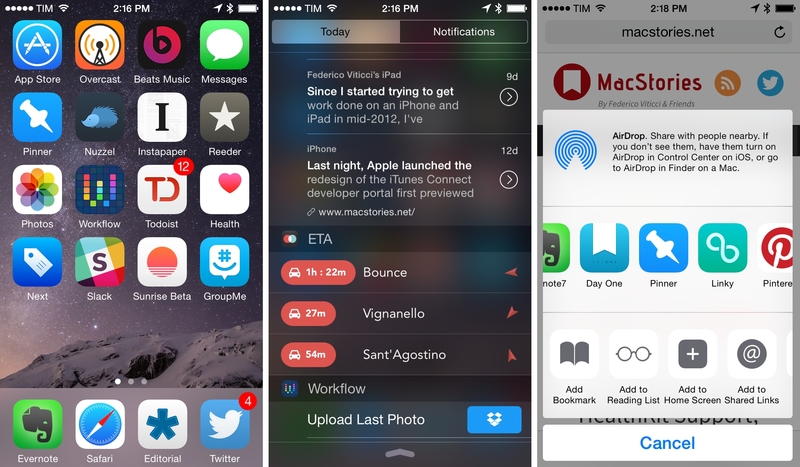 How status awareness is being brought to iPhones, iPads, and Macs with Handoff and Continuity. 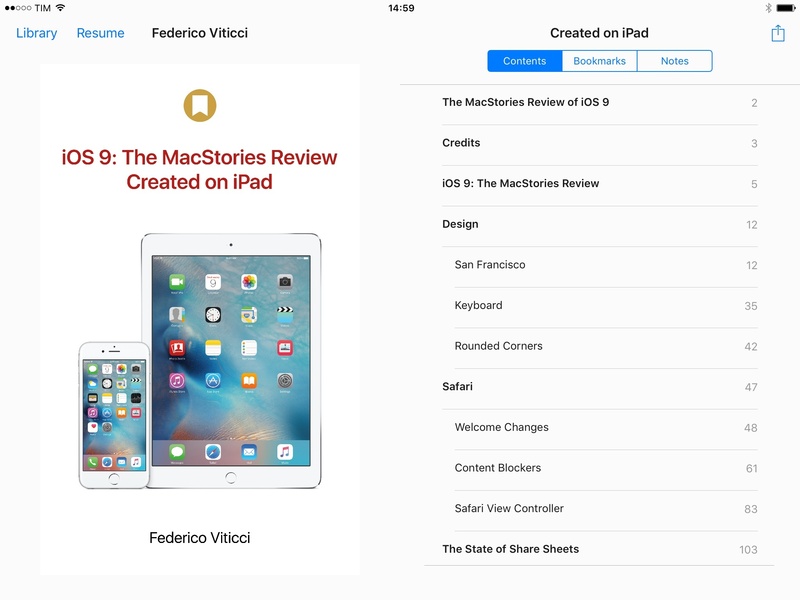 Swift and TestFlight, giving developers new tools to build and test their apps. Custom keyboards and interactive notifications. iOS 7, released today, is a deep reimagination of Apple’s mobile platform: using familiarity and the need for a reset as catalysts, iOS 7 represents Apple’s attempt to make iOS ready for the future. iOS 7 is, effectively, the epitome of a large company that knows it’s time to get rid of cruft and inconsistencies to bring a new order to a platform that has grown exponentially in the past five years. For developers, iOS 7 brings powerful new tools that will allow for a new generation of more flexible, intelligent, and versatile apps. iOS 7 is not perfect: there are rough spots and some wrong assumptions, but it’s not flawed or, as many will argue in the next few weeks, a “mistake”. It would be extremely silly and shortsighted to judge iOS 7 by the look of its application icons or the gradients Apple has decided to use on some graphics. More than any other Apple product, iOS 7 isn’t just defined but how it looks: iOS 7’s new look is devoted to functionality – to how things work. It’s difficult for me to offer a comprehensive review of iOS 7 today, because I have only been able to test a fraction of the third-party apps I will use on a daily basis with my iPhone and iPad mini. Mirroring the concept of “design is how it works”, I would say that, for me, iOS isn’t just how Apple’s apps work on it – it’s increasingly become about how apps from third-party developers can take advantage of it. I have been running iOS 7 on my iPhone 5 since Apple released the first beta in June. I later installed the OS on my iPad mini, and have been working with an iOS 7-only setup ever since. 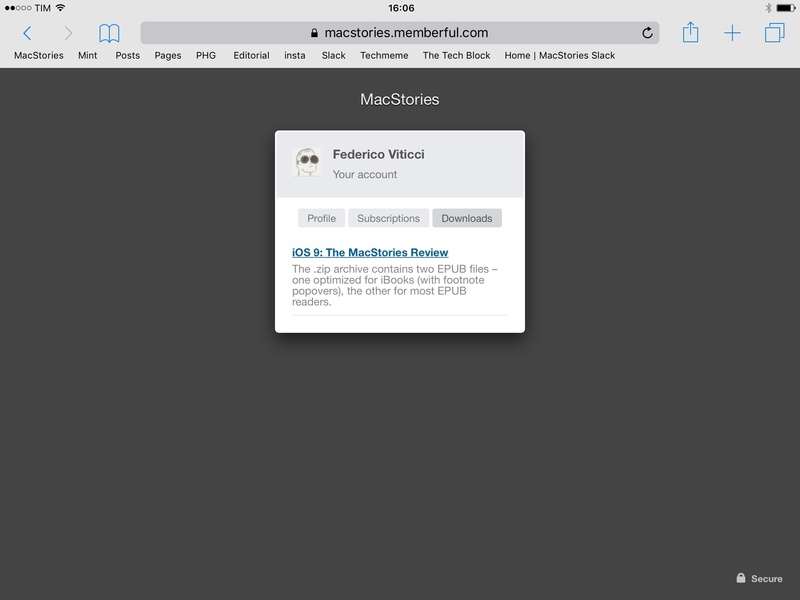 As MacStories readers know, I primarily work from my iOS devices, which helped me get a good idea of how iOS 7 will change the way I write, take photos, respond to emails, listen to music and podcasts, and all the other things that I use iOS for. Fortunately, I had the chance to test a good amount of third-party apps that solidified my thoughts on iOS 7 and the way it impacts my digital life and workflow. It was also hard to get ahold of fellow iOS 7 users in my town. While I imagine that it would be easier to come across a nerd running an iOS 7 beta at a bar in San Francisco, I didn’t have much luck in Viterbo, Italy. I tested new features like AirDrop – which allows you to share files and information locally with other iOS 7 devices – with my iPhone and iPad, and, in the past week, managed to convince my girlfriend to install iOS 7 on her iPhone. I needed to provide this context: my livelihood directly depends on iOS and how I can work from my iPhone and iPad without having to use my Mac. Therefore, if you’re looking for a list of new features and smaller details of iOS 7 (and there are many), bookmark this article. My “review” of iOS 7 will focus on my thoughts on the update, how it made my iPhone and iPad better devices, and what I believe iOS’ future will be going forward.